Does your horse exhibit post race anxiety? Is your horse nervous, anxious, fretful, elevated, irritated or not listening after your barrel run? Does he just want to get back to his buddies or is it something more? The first thing to rule out when thinking of anxiety is physical pain. Is your horse lame anywhere? Ask your veterinarian to flex his joints (knees, ankles and hocks can be stressed in a run) and to use hoof testers on his front feet. Ulcers. Scoping your horse is the very best, safest and most accurate diagnostic tool to determine if your horse has ulcers. Treating ulcers is also very straight forward. Ulcer Guard or Gastroguard heals ulcers and once healed, you can use some other maintenance options. Be sure to visit with your vet about the proper dosage. Has your horse ever bled out their nose in a run (they usually cough and act anxious going into for a run)? This is also easily diagnosed by scoping within 24 hours of a run. Is your horse fit? Is he accustomed to the level of sprinting that happens in a competition run? Does your saddle fit your horse well and especially does it sit well through your run? The second area of questioning is his emotional state after your run. Adrenalin is at an all time high post competition and this can be overwhelming and cause anxiety in a horse. By warming up well and thoroughly, they don’t experience the huge peak of adrenalin. 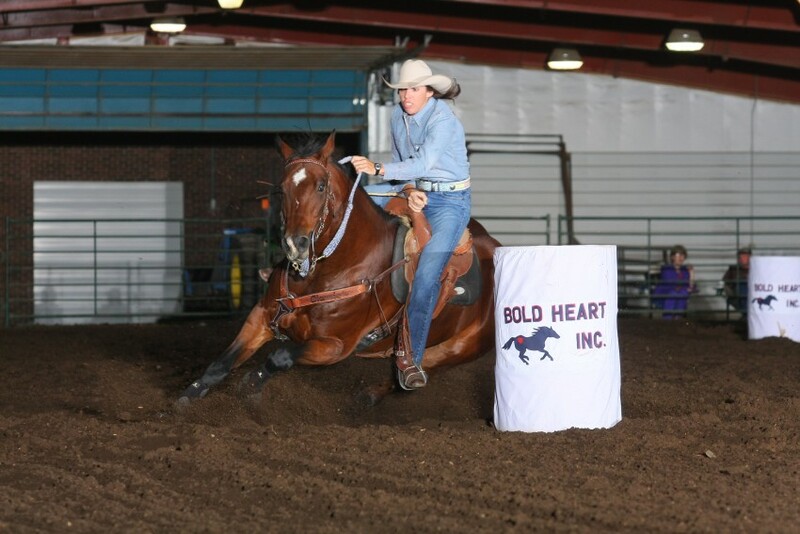 Competition can be very disturbing to a less confident and timid horse and they may need additional security like a buddy horse at the gate after they run. As you are leaving the gate, it is a good idea to capture their attention and be their leader. Ways to be their leader are: one rein stops to either or both directions, un-tracking their hind end as you ask them to bring their head to your knee then rub them. I have one open horse that likes me to pull his ears and that settles his mind quickly and gives him a safe spot to go mentally. Thinking about fitness also affects pre and post-race emotions. In your weekly workout regime, make sure sprinting is part of it. Depending on your horse, (some racier horses would need less sprinting) they still need to learn to handle speed. It is very teachable. Develop a warm up and cool down routine that your horse knows and understands well, and one that becomes a habit. After a practice run be sure to stick to your same cool down routine so he knows what will be expected of him. In closing: Explore your horse’s physical state first. Is there any pain involved? Use your veterinarian to help go through your horse and eliminate painful joints, ulcers, bleeding and any back pain. Then, examine the emotional state of your horse. Would being a stronger leader help support them post-run? Or could you change up your fitness routine so your horse is more comfortable with speed? Post-race anxiety is real and it is also curable.